Drive over viaduct on to Wisconsin Avenue. In approximately 1 mile turn right onto Big Mountain Road-MT 487. Drive 5 miles. Look for Kandahar Lodge on left after skiers bridge over Big Mountain Road. 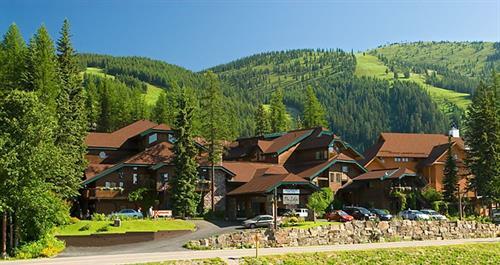 This cozy mountain 50 room lodge is a beautiful base camp for summer explorations of nearby Glacier National Park and in the middle of the action for winter snow sports. 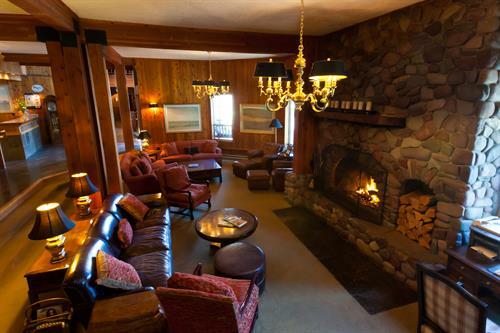 Built in 1981 (rooms were renovated in 2015) the Kandahar has a classic ski lodge feel and provides comfort, convenience and incredible cuisine. Day trips from Kandahar may include zip lines, hiking, mountain biking, wildlife viewing, fishing, boating, swimming, golfing, shopping, live theater and excellent dining. 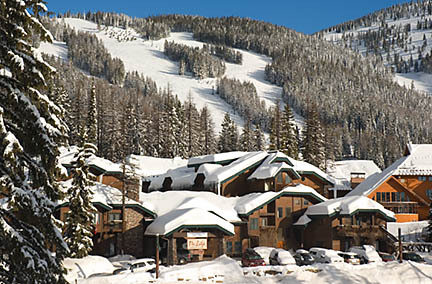 Winter brings skiing, snowboarding, cross-country skiing, snowmobiling, snowshoeing, and day trips to ski Fernie, BC. Kandahar's great room with its real crackling fire encourages guests to spend time there. 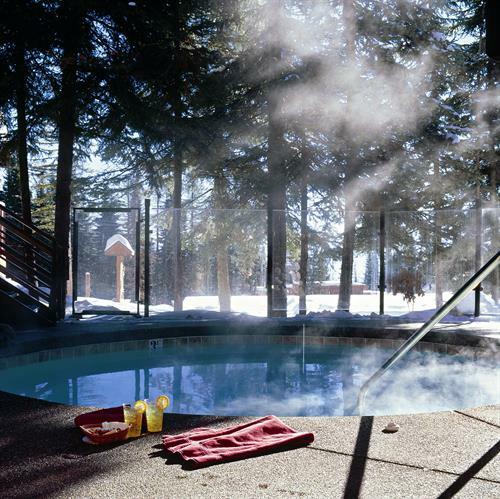 The lodge has luxurious rooms, hot tub, steam room, exercise room, massage services & a fully licensed Snug Bar. Café Kandahar offers gourmet dining (tasting menus nightly) and an extensive wine list. Chef Andy Blanton has received multiple nominations by the James Beard Foundation as one of the best chefs in the Northwest. Each lodge room has queen bed(s) with down comforter(s), small refrigerator, microwave & air-conditioning. Other room types are studios, loft & kitchen lofts. The studios & kitchen lofts have complete little kitchens. Kandahar Lodge is open the first week of December through the first week of April & June through September. 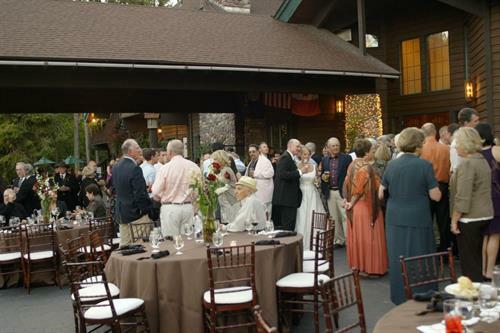 The Lodge will open for prearranged groups in the spring and fall. Kandahar is ideal for association meeting groups and small weddings & family reunions. Please note that Kandahar does not have an elevator. Pets & smoking are not allowed.